With its deep Southern tradition, colorful history, and mild winters, Mississippi is an attractive destination for teachers in this state. And as more incentives continue to be offered, state educational leaders are also working hard to make the state a desirable landing place for teachers. If you take up the offer to become a teacher in Mississippi, you’ll have the opportunity to play an integral part in the success of the kids you teach and the communities where you live. And that’s a great reason to get up for work every morning. What are some of the benefits of becoming a teacher in Mississippi? How do I become a teacher in Mississippi? Below are sample mean wages for teachers Mississippi. In order to bring new teachers into the state, the 2013 Mississippi budget has granted an additional $12 million to Teach for America and Mississippi Teachers Corps. An additional $5.7 million was dedicated in the 2013 budget in order to fully fund high-growth districts within the state. Mississippi Governor Phil Bryant pushed for a pay-for-performance program for teachers in 2012, although no legislation along these lines has passed. Preceding governor Haley Barbour had approved $336 million in comprehensive teacher raises, to be rolled out over a six-year period; this legislation was loosely linked to teacher performance. The Mississippi Association of Educators has also advocated a starting salary of $40,000 per year for teachers, in order to remedy teacher shortages in the state. Though struggling educationally, Mississippi has set numerous improvement goals over the next decade. Among those goals: Ensure that all students exit third grade at a third-grade reading level by 2020; increase the graduation rate to 85 percent by 2019; reduce the dropout rate to 13 percent by 2013; and reduce the statewide truancy rate by 50 percent by 2013; and reach the national average on all standardized tests by 2013. In order to accomplish their educational goals, the Mississippi BOE has stated that one of its principal strategies is to increase the quality and quantity of teachers. One subset of that goal is to actively recruit teachers from the top third of their respective graduating classes. In addition, as teachers retire and tenured teachers face more accountability with new merit and performance pay systems, numerous replacement job openings are also expected in Mississippi. Individuals wishing to stand out as candidates, and ensure the best chances of getting a job, should earn certification in subjects such as science, technology, engineering, mathematics, English as a Second Language, special education, and reading. Teach for America, an organization that hopes to transform education by providing highly qualified beginning teachers in high-need schools, has a strong presence in Mississippi. Both Teach for America Mississippi Delta and the Mississippi Teachers Corps provide loan forgiveness in exchange for service in high-risk schools. The federal government also provides loan forgiveness for those who teach in failing schools. Sometimes, the districts themselves will offer additional incentives, loan forgiveness, and contract signing bonuses to teachers who agree to work in a troubled environment for a set period of time. Most school districts provide health care plans for their teachers, including dental, emergency care, prescription drug plans, and sometimes eye care. Retirement benefits are provided by the Public Employees’ Retirement System of Mississippi. The Industrial Institute & College (now Mississippi University for Women), established in 1884, was the first public women’s college in the country. Mississippi was one of the first states to pass laws protecting the property rights of married women. The 4-H Club was founded in Mississippi. Coca Cola was founded in Vicksburg, Mississippi. Although Mississippi has no state teachers’ union, Mississippi educators are represented and supported by the National Education Association. Through the NEA teachers are offered all kinds of benefits including health, dental, auto and life insurance, retirement pension accounts, and even member assistance when a teacher faces a layoff. The American Federation of Teachers’ Mississippi branch also advocates on behalf of teachers, and offers professional resources and support. The Mississippi Professional Educators, the largest organization for teachers in Mississippi, supports more than 10,500 member teachers, administrators, and staff. The organization provides curriculum resources and professional development conferences, keeping them up to date on the last educational changes and techniques. A teacher must have a bachelor’s degree in his or her area of focus before being awarded a teaching certificate in Mississippi. Many bachelor’s degree programs, as well as teaching certificate programs, can now be pursued online. 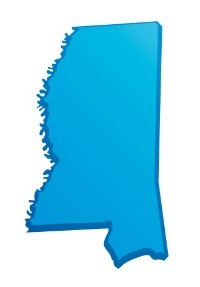 In addition, as of the 2012-2013 school year, Mississippi requires a new state board exam. As noted earlier, Mississippi districts have also set their sights on teachers who have graduated in the top one-third of their classes. For more information on teacher certification, in addition to links and advice regarding documents, the certification process, teacher preparation programs, and contact information, visit the Mississippi Teaching Certification website.